With so many amazing stories being told on a daily basis in schools it's important that you have the tools to capture these stories. Social media is now driven (mostly) by visuals. Even Twitter which is predominantly a textually based social media network is used more effectively when paired with imagery. Including images, video, and live-streams within your tweets boosts your engagement massively. With it being the new year (kinda.. we can still say it's a new year, right? ), it's important to spoil yourselves - It's the best way to avoid those January blues 😀 There are hundreds of handy cameras, tools and gadgets to help schools capture all of the magical moments being created. We are giving you the best advice for what equipment to get, and which platforms to use! This will ensure that all the special memories being made at your school can be effectively captured. Flickr is the ultimate online photo album service and tool for telling and sharing your school stories. Flickr will completely eradicate the dusty old photo albums and revolutionise how your schools tells stories. 1TB of free storage! If your average photo size was 1MB this means you could upload 1 million photos absolutely free! With so many events happening in schools the massive free storage allowance ensures you will not need to stress about limited storage! Enables new ways of organising your photos and video! Once you make the switch to digital, it is all too easy to get overwhelmed with the sheer number of photos you take or videos you shoot with that itchy trigger finger. Flickr allows you to organise photos in albums, categories and tags to ensure your photos are immaculately presented and organised. "Helping people make their photos available to the people who matter to them" This is the main goal of the Flickr creators. Being able to upload photos from PC, mobile and tablet and being able to share Flickr photos through a variety of social networks and programs is what makes Flickr so appealing. Flickr defiantly abides to it's core ethos. Download photos! Flickr allows people to download photos meaning that parents will be able to easily access your Flickr page and download pictures of their child. You can, of course, disable this feature in the privacy features. Flickr is really simple to use and is the best platform for schools to upload and share their wonderful photography content. Being able to easily upload and organise photos makes publishing all these wonderful pictures and all of these memories effortless! "You won't always have a calculator"
...how times have changed. Now in our pockets we have a map, a flashlight, a calculator, photo albums, music, films, a camera. The list is really endless. We have all taken photos on our smartphones! With mobile phones evolving at such a drastic pace we now have access to digital cameras in our pockets! Although we have selected an iPhone as our "hot tip" you can use any modern smartphone! We have simply picked the smartphone which we believe has some key additional features for enhancing the storytelling experience! Every modern smartphone should have a quality camera. For the most basic model with 16GB storage an iPhone 6S is £539 but there really isn't enough storage when you take into consider the other storage your phone requires like apps and software updates. We recommend either a 64GB (£699) or a 128GB (£799) model. Unlike digital cameras, iPhones do not allow additional storage, you cannot add an SD card. However this can be easily combated by utilising photo storage software such as Dropbox and Google Drive... or FLICKR. For the price of an iPhone you could be getting a brilliant camera which is much better for taking pictures. However the iPhone does a good job and the best camera is the one that's always with you! A smartphone is great for seizing the opportunity and taking that opportunity for a killer picture! For organised events with lots going on, a digital camera is the best method. Camera's are dedicated tools for taking photos. As good as an iPhone camera may be, it is first and foremost a phone! Camera phones are improving all of the time and are only getting better and better. There is a reason that professional photographers aren't running around with an iPhone in hand just yet! However we do recommend using your smartphone as a camera but for capturing the odd story here and there, for a organised event use a proper camera! Did you know - iPhone cameras are so acclaimed that there are movies that have been entirely filmed by an iPhone. The critically acclaimed movie Tangerine (2015) was filmed using an $8 app 😮 Who needs a movie studio anymore right? They’re getting better every year. Camera makers and your local camera shop salesman are always talking about the next model with more megapixels than the one that came before it. The new numbers make your current model seem obsolete. If you bought a camera with six megapixels a few years ago, you wish you could get a new one that gets twelve. But does it really mean anything? Does having more megapixels amount to better photo quality, or is it all just marketing hype? Megapixels are great. They brought digital photography out of the dark ages and allowed photographers to make digital images that compare to film images. But megapixels are no reason to pay more for a camera! How many megapixels you need depends on the how you are going to use your images. As long as the camera has over 7 megapixels the camera will be absolutely fine for all of your photography needs! DSLR (Digital, Single, Lens, Reflex). Simply put, a DSLR is just a camera that uses mirrors and interchangeable lenses. The DSLR is the kind of camera which schools must be buying! You can take photos of everything from sleeping kittens to race cars and you'll never be limited by your camera. With a DSLR in your hands you can rest assured that you'll only miss great photo opportunities because you weren't prepared, not because your camera wasn't able to get the shot. Image Quality – Due to the larger size of image sensors in DSLRs which allows for larger pixel sizes – DSLRs are generally able to be used at a faster ISO which will lead to faster shutter speeds and less grain. Adaptability – DSLR’s ability to change lenses opens up a world of possibilities for photographers. Add to this a large range of other accessories (flashes, filters etc) and a DSLR can be adapted to many different situations. It should be noted that when it comes to lenses that the diversity in quality of lenses is great. Image quality is impacted greatly by the quality of the lens you use. Speed – DSLR’s are generally pretty fast pieces of machinery when it comes to things like start up, focussing and shutter lag. Hold it’s value – some argue that a DSLR will hold it’s value longer than a point and shoot. There is probably some truth in this. 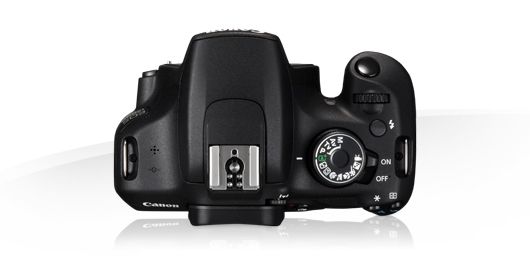 DSLR models do not get updated quite as often as point and shoot models (which can be updated twice a year at times). The other factor in favor of DSLRs is that the lenses you buy for them are compatible with other camera bodies if you do choose to upgrade later on (as long as you stay with your brand). This means your investment in lenses is not a waste over the years. Depth of Field – A DSLR can give you depth of field that puts everything from foreground to background in focus through to nice blurry backgrounds. The Canon EOS 1200D is the number 1 best selling DSLR camera on the internet and it easy to see why. For a bargain price of £219 (Amazon UK) the Cannon EOS 1200D really meets all of your photography needs and is the perfect camera to get you started on your storytelling adventure! The EOS Companion app, designed specifically to be a learning aid for 1200D owners. The camera was designed and manufactured for getting beginners to explore photography and DSLR photography! If you are at all nervous about your photography ability the Cannon EOS 1200D and the companion app will help you overcome those nerves and mould you into a competent and confident photographer. To tell a different story sometimes we need different equipment. Not all stories can be told through the same camera or lens. In the last few years, the GoPro has really taken off in popularity. What was once just a loyal niche fan following has turned into a worldwide demand for these items. The GoPro brings new possibilities and can add a new dimension to our storytelling abilities. GoPro video cameras are completely waterproof and shockproof so they can be used in any type of environment or conditions. The cameras are small and come armed with a wealth of accessories so they can be attached directly to the subject providing an immense first person experience. Capture sporting events and more extreme school stories first hand. We don't want to put our £800 fragile DSLR in a kayak or perching in the back of a football net waiting for the ball to fly towards it. The Go-Pro will open many storytelling doors. The GoPro HERO 4 is a very reasonable £250 (Amazon UK), for what the GoPro can bring to your school and the possibilities it brings this is really a bargain. However before purchasing consider your schools needs. If you are an active school who has a wide variation of sports from the arguably mundane to the extreme then the GoPro might well be for you. If you don't feel this is your school the GoPro may well not be needed! Protune - Now for Video + Photos: Cinema-quality capture and manual control of colour, ISO limit, exposure and more. Night Photo Lapse: Customisable exposure settings up to 30 seconds for single and Time Lapse Photos. Auto Low Light: Automatically adjusts frame rates for optimal low-light performance. High-Performance Audio: New Audio System captures clean, high fidelity sound and nearly 2x the dynamic range. Ultra Wide-Angle Glass Lens: Enables engaging, immersive footage of you and your world. Selectable FOV: Three FOV settings - Ultra-Wide, Medium and Narrow - allow for a broad range of perspectives. HiLight Tag: Mark key moments while recording for easy playback, editing, and sharing. QuikCapture: Power on and record automatically with the press of a single button. 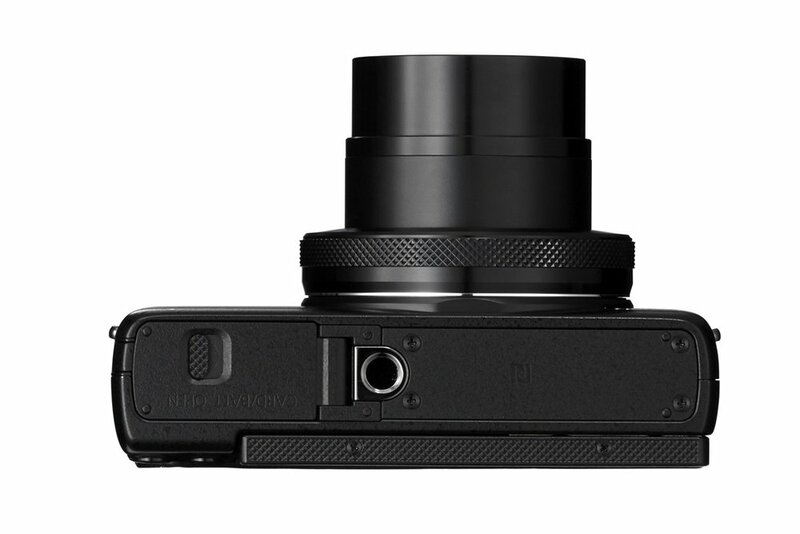 SuperView: Captures the world's most immersive wide-angle field of view. In the modern photography market there is a common conception that all non- DSLR cameras are inferior. In a sense this is true, there is no real substitute for a top quality DSLR camera but in recent years point and shoot cameras have been making a real come back. Point and shoot cameras are not customisable and you can not add extras. What you buy is what you get. The camera does nearly all of the hard work for you with easy preset features and filters. However these kind of cameras can be ideal for getting started on your photography journey. Size and Weight – to be able to slip a camera in a pocket as you dash out the door to a party is a wonderful thing. These days point and shoot cameras can be slim and light – to the point of not even knowing you’ve got them with you. This is great for parties, travel and all manner of situations. Of course some point and shoots can be quite bulky too (especially some of the super zoom models on the market). Quiet Operation - Point and shoot cameras are as quiet as a mouse and are perfect for snapping a picture during school productions or other special moments. Auto Mode – the quality of images produced in point and shoots varies greatly, but in general they shoot quite well in auto mode. Manufacturers presume that this style of camera will be used in auto mode (or one of the other preset modes) mostly and as a result they generally come pretty well optimised for this type of shooting (as do many DSLRs). Price – in general point and shoot digital cameras are cheaper. Of course you can go to the top of the range and spend as much as you would on a cheaper DSLR, but most are in a much more affordable price bracket. LCD Framing – as I mentioned above, many digital camera users prefer to frame their shots using LCDs. Point and Shoots always come with this ability and some even come with ‘flip out’ screens that enable their users to take shots from different angles and still see what they’re shooting. 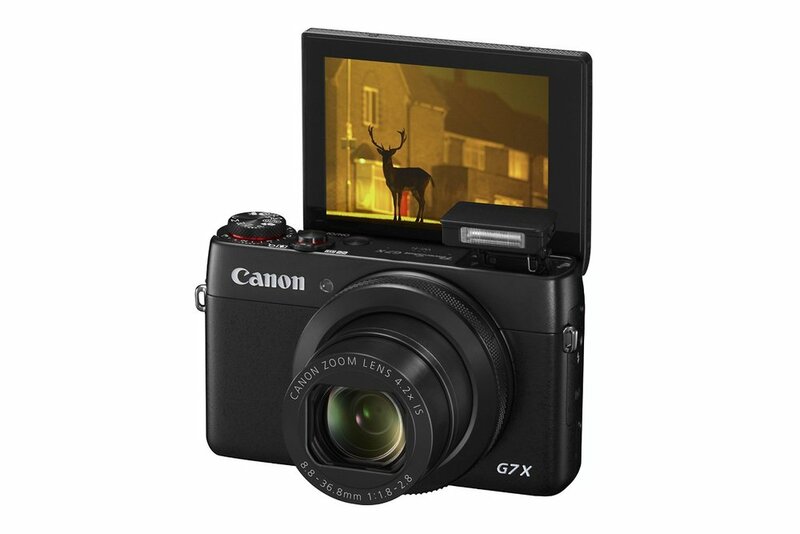 The PowerShot G7 X is designed for photographers who want the power, control and even the image quality of a D-SLR, but in a camera small enough to fit in a pocket. That's what Canon's top-end PowerShot G-series cameras are designed for, but in the past this kind of camera has compromised on sensor size. To get a small camera you had to put up with a small sensor. 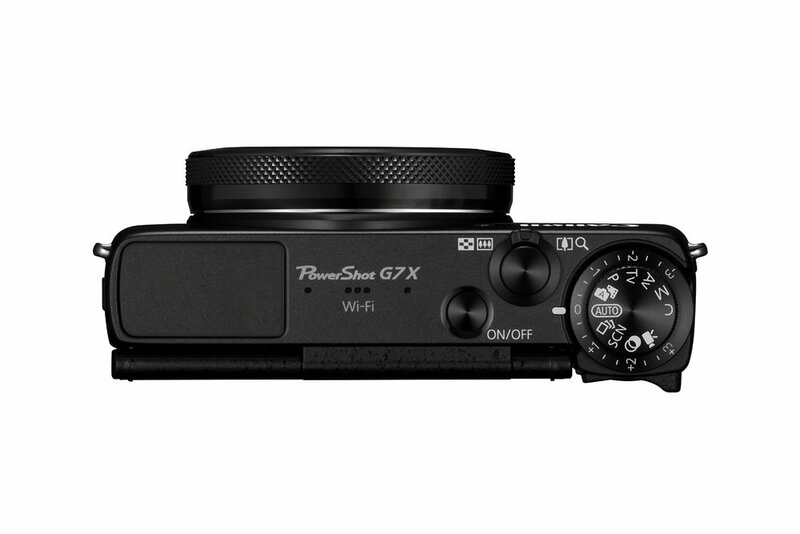 That's why the new G7 X is so interesting. It uses a 1-inch sensor big enough to produce great images but small enough to allow a genuinely pocketable camera design. 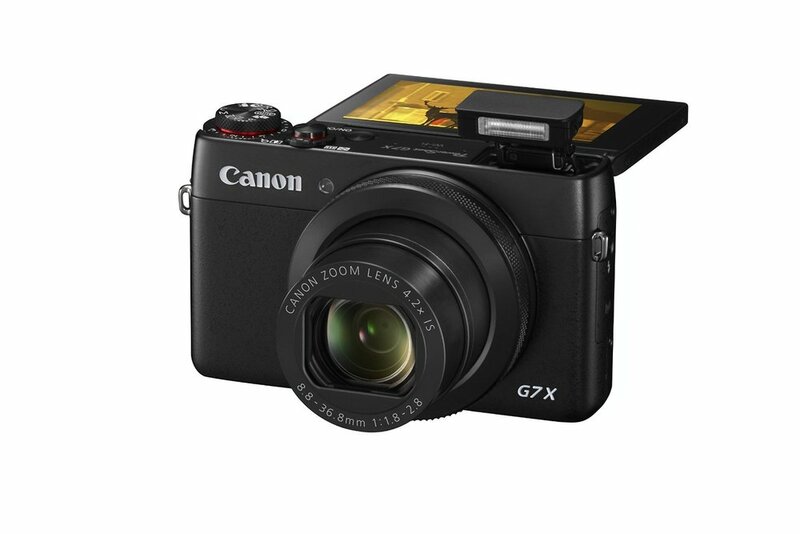 With a host of impressive specifications and handy tools such as Wi-Fi to quickly upload photos the G7 X is a premium point and shoot camera. 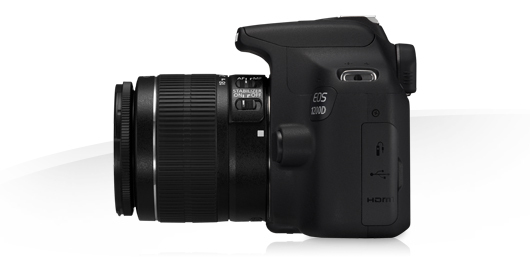 If you want to capture DSLR quality images from a point and shoot this is the camera for you. This is ideal for people who don't want to invest lots of time into photographing events. This simple to carry light-weight giant is a fantastic camera. 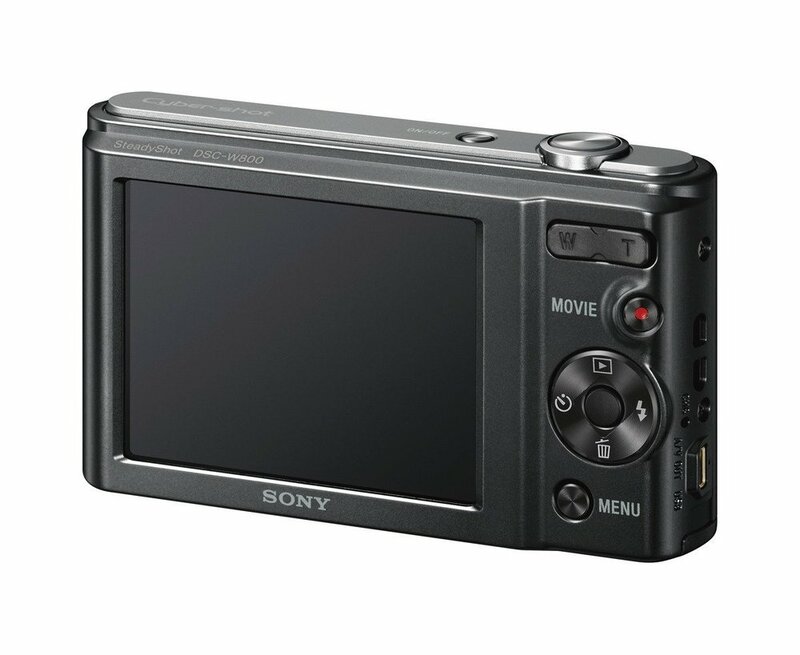 "Lightweight and easy to slip in a shirt pocket" the Sony DSCW800 is one of the best budget point and cameras in the market and is available for a bargain price of £59.00 (Amazon UK). Much like riding a bike when you start of you use stabilisers and familiarise yourself with riding the bike and then you remove the stabilisers and cycle unaided! Think of the Sony DSCW800 as your stabilisers. Use this camera to get confident with the art of photography and try new things! The beautiful thing about a camera that is this price is that the element of fear is taken away. If your inexperienced with taking photos and buy the £700 DSLR you be fearful of breaking your camera. With the Sony you can learn to love photography and explore the realms of the art freely without constraint. Whichever camera your school decides to buy the most important thing is that your schools has the tools equipped for capturing school stories. We want the children of this generation to be able to look back at their special moments in fifty, sixty years time without to climb up into the attic and find that dusty old photo album. We would love to hear about which device your schools uses to capture all of the magical events taking place!